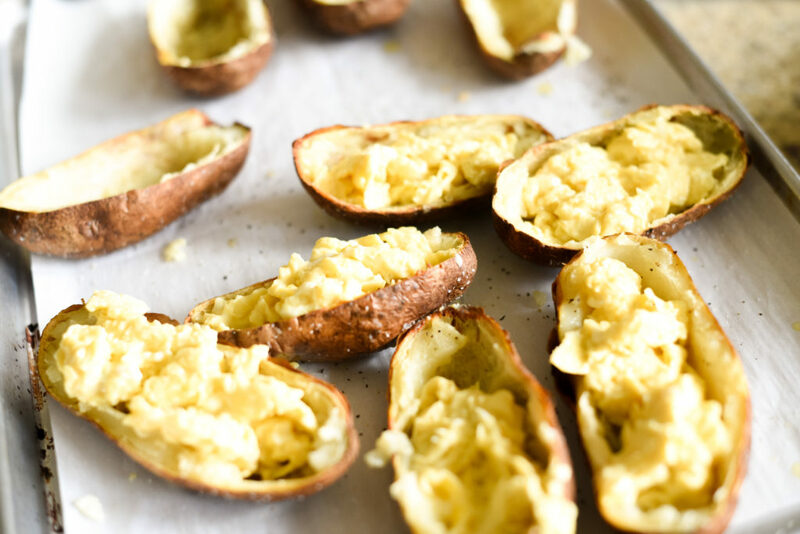 These Breakfast Baked Potato Skins are EVERYTHING you didn’t realize you wanted, no needed, for breakfast. 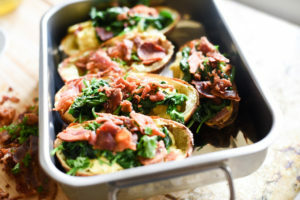 Crispy baked potato skins partially hollowed out and filled with soft scrambled eggs, garlicky spinach, and chopped bacon. For a little extra flavor, I topped them with a dollop of pesto and was in bliss! 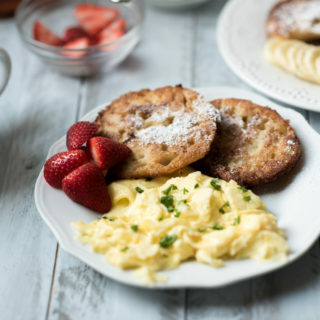 This was the breakfast we NEEDED towards the end of our Whole30. After 15+ days of eggs cooked every way possible, they start to sound un appetizing. These easy potato skins were an exciting way to change things up. The best news: these are highly customizable. Not on Whole30? Add cheese. 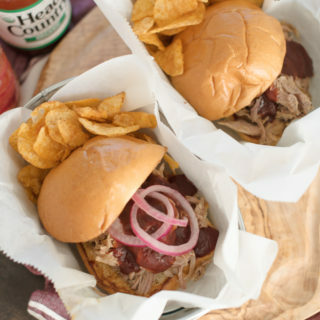 Don’t want bacon, try brisket, pulled pork, shredded chicken, or make some crispy carnitas. Serve with pico de gallo, bbq sauce, hot sauce, or ranch. 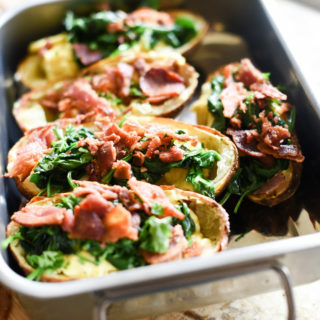 These Breakfast Baked Potato Skins would be great on any brunch spread. Your guest would appreciate the change up and they are relatively easy to put together. The bonus is that you can now make my white cheddar mashed potatoes with the remaining potato scooped out of the skins! 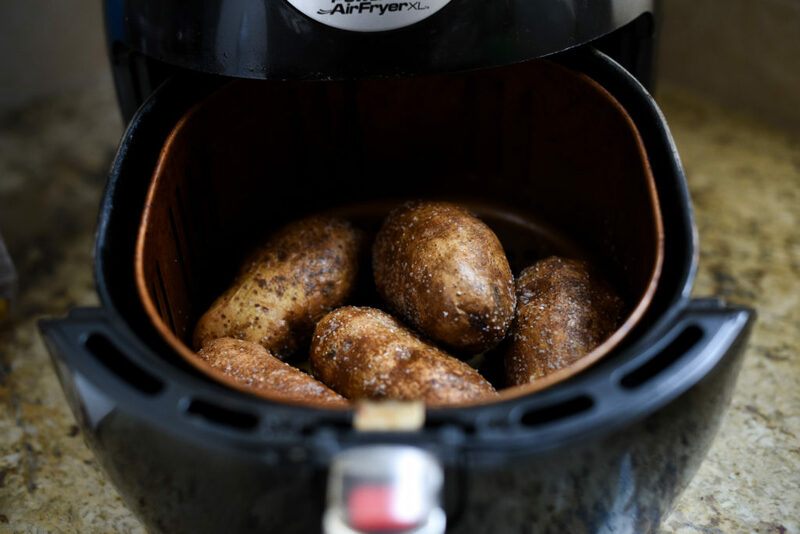 I chose to make my “baked” potatoes in the air fryer because the skins get super crispy and the inside of potatoes are incredible fluffy but you can definitely do things the traditional way and use the oven. I would suggest baking the potatoes, hollowing them out, and briefly returning them to the oven to crisp up even more. 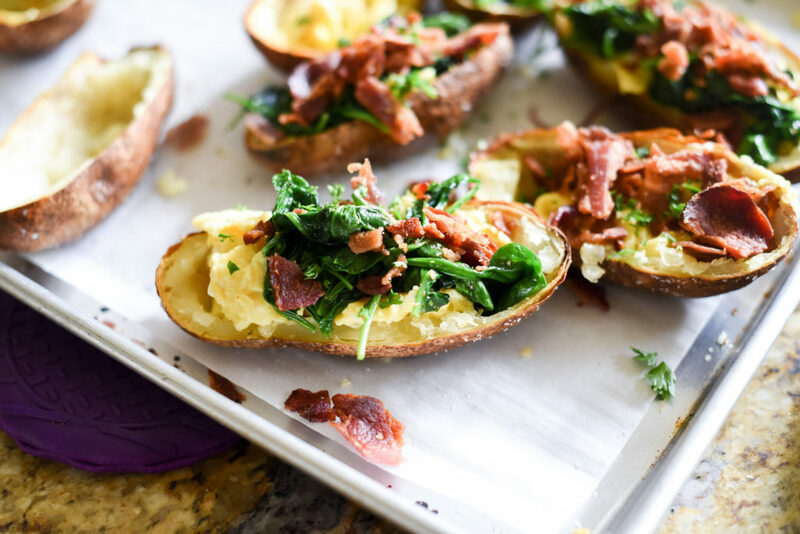 A fun, hand held breakfast option: Crispy Breakfast baked potato skins topped with light scrambled eggs, garlicky spinach, chopped, crispy bacon, and a dollop of fresh pesto. Rub the potatoes with olive oil and kosher salt. Place in the oven for 45 minutes or till crispy on the outside and done on the inside. 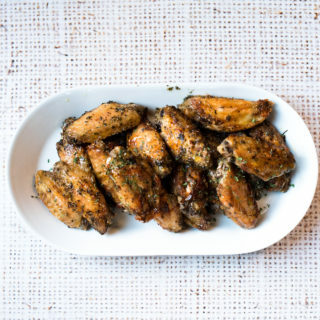 If using the Air Fryer, cook on 390 degree for 30-40 minutes. Removed cooked potatoes from the oven/ air fryer and cut in half horizontally. While the potatoes cool down, prepare the scrambled eggs. Prepare the garlicky sautéed spinach: Sauté spinach in olive oil with 1 clove of minced garlic. Season with salt and pepper, to taste. Cook the bacon. (according to the package) Roughly chop. 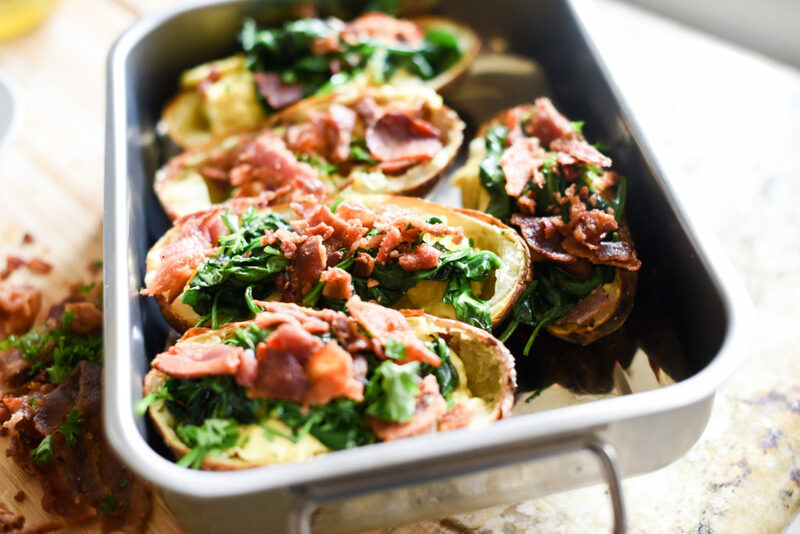 Brush the inside of the potato skins with melted ghee (or butter), top with scrambled eggs, sautéed spinach, and chopped bacon. Garnish with chopped parsley. 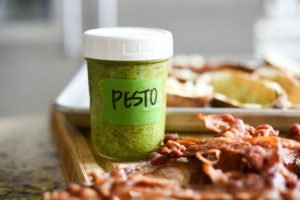 Top with a dollop of pesto. Enjoy!